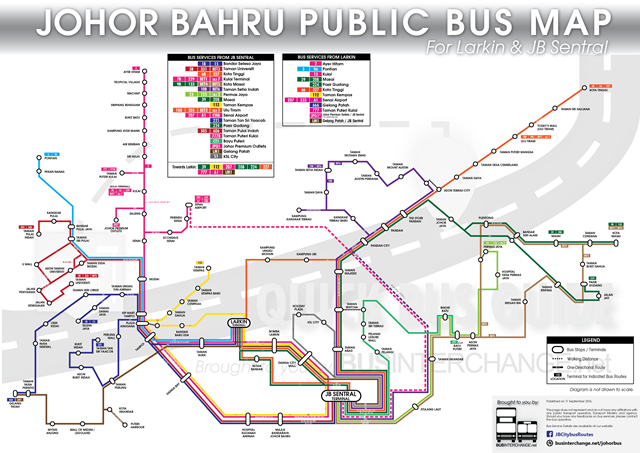 Bus routing for BMJ bus routes P201, P211, P212 & P214 serving the Johor Bahru Tengah area will be amended. Bus schedule for P202, P203 & P213 will be changed as well. Bus routing for P201 will be extended to serve more areas in Pulai and no longer serve Universiti Teknologi Malaysia (UTM). Commuters going to UTM from Terminal Taman Universiti should take the amended P211 instead. Bus operating hours will be shortened to end at 7pm (1900hrs) daily. Bus operating hours for P202 will be extended, with the last bus departing Taman Universiti at 9pm (2100hrs) daily. P202 will now operate with an hourly interval. Bus routing for P202 remain unchanged. Bus operating hours as well as service frequency for P203 will be reduced. With the schedule adjustment, this service will be operated at 45 to 60 minutes interval, with the last bus for P203 leaving Selesa Jaya and KIP Mart Tampoi (Taman Johor) earlier at 9pm (2100hrs). 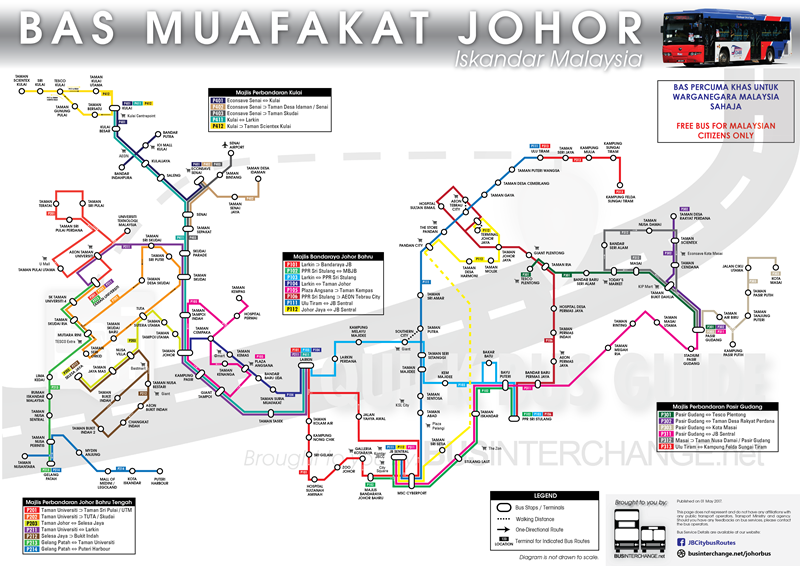 Bus routing for P211 will be extended to serve Universiti Teknologi Malaysia (UTM). Departure timings will be adjusted along with the route change, with the last bus leaving Taman Universiti and Larkin at 9pm (2100hrs) daily. All other routings for P211 remain unchanged. Bus routing for P212 will be amended to start at Perling Mall and loop at TESCO Mutiara Rini, skipping Bandar Selesa Jaya. Routing between Taman Nusa Bestari Jaya and Bukit Indah remain unchanged. However, commuters should note that P212 will only call at AEON Bukit Indah and Persiaran Indah when travelling towards Mutiara Rini. On the return journey towards Perling Mall, P212 will ply along the main road at Jalan Sutera Danga (road outside Giant Taman Nusa Bestari / TESCO Bukit Indah) instead. Bus schedule for P212 will be adjusted as well. Bus schedule change for P213 will affect only one trip in the afternoon. Previously, P213 was scheduled to depart Gelang Patah at 2pm. With this change, P213 will leave Gelang Patah at 1pm instead. All other timings remain unchanged. Bas Muafakat Johor P214 will cut back to look at Kota Iskandar instead of Puteri Harbour.